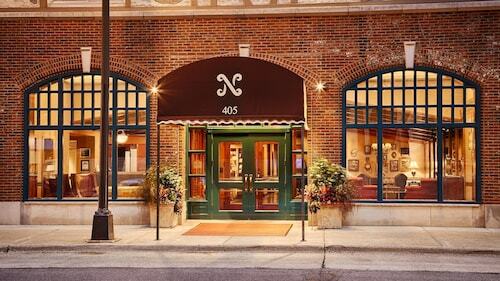 Situated in the business district, this hotel is within 9 mi (15 km) of Ard Godfrey House, University of Minnesota-Minneapolis, and Target Field. Target Center and Skyway Theatre are also within 9 mi (15 km). Fridley Station is 13 minutes by foot. Situated in Fridley, this motel is within 9 mi (15 km) of National Sports Center, Ard Godfrey House, and Our Lady of Lourdes Catholic Church. University of Minnesota-Minneapolis and Target Field are also within 12 mi (20 km). How Much is a Hotel Room in Fridley? Hotels in Fridley start at $84 per night. Prices and availability subject to change. Additional terms may apply. Apartment and hotel alternatives are in abundance in Fridley. 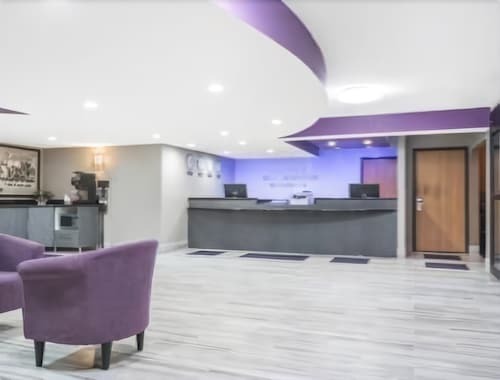 Travelocity's extensive database shows 30 places to stay conveniently located within a 6-mile (10-kilometer) distance of the city center of Fridley. 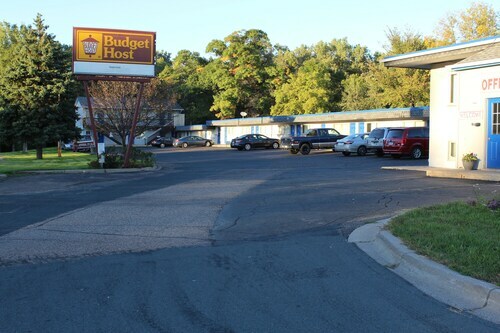 Travelocity-listed places to stay you can find within a close distance of Fridley's center, are the LivINN Hotel Minneapolis North / Fridley and Budget Host Inn Fridley. You could also check out the Hotel Ivy, a Luxury Collection Hotel, Minneapolis or the Residence Inn By Marriott Minneapolis Downtown. The Hotel Ivy, a Luxury Collection Hotel, Minneapolis can be found just 8 miles (12 kilometers) away from the main part of Fridley. The Residence Inn By Marriott Minneapolis Downtown, is situated just 7 miles (12 kilometers) away. Alternatively, you might like to take a room at the The Saint Paul Hotel or the Loews Minneapolis Hotel. St. Paul is 12 miles (19 kilometers) to the southeast of Fridley and is where you'll find University of St. Thomas and Hamline University. The Holiday Inn St. Paul Downtown and Embassy Suites - St. Paul are a handful of the comfortable lodging alternatives in St. Paul. 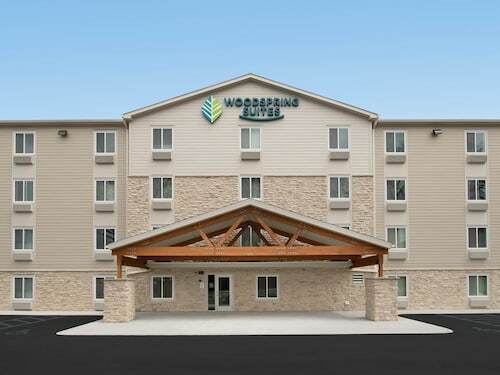 For another option, head to Hastings, 30 miles (52 kilometers) southeast of Fridley, where you have the options of the Nichols Inn of Hastings and Val U Stay Inn and Suites. The Alexis Bailly Vineyard and Carpenter St. Croix Valley Nature Center are a couple of the frequented attractions to check out in Hastings. Before leaving town, don't miss out on cheering wildly with Minneapolis - St. Paul sports obsessives at a local game. Xcel Energy Center is 12 miles (20 kilometers) to the southeast of Fridley. And travelers wishing to find a room near the stadium can choose from the InterContinental Saint Paul Riverfront or the DoubleTree by Hilton Hotel St. Paul Downtown. Minneapolis - St. Paul International Airport is located 14 miles (23 kilometers) away from Fridley's city center. Enlightened visitors who want to find a hotel nearby can easily book a room via Travelocity at the Radisson Blu Mall of America or Embassy Suites by Hilton Minneapolis Airport.